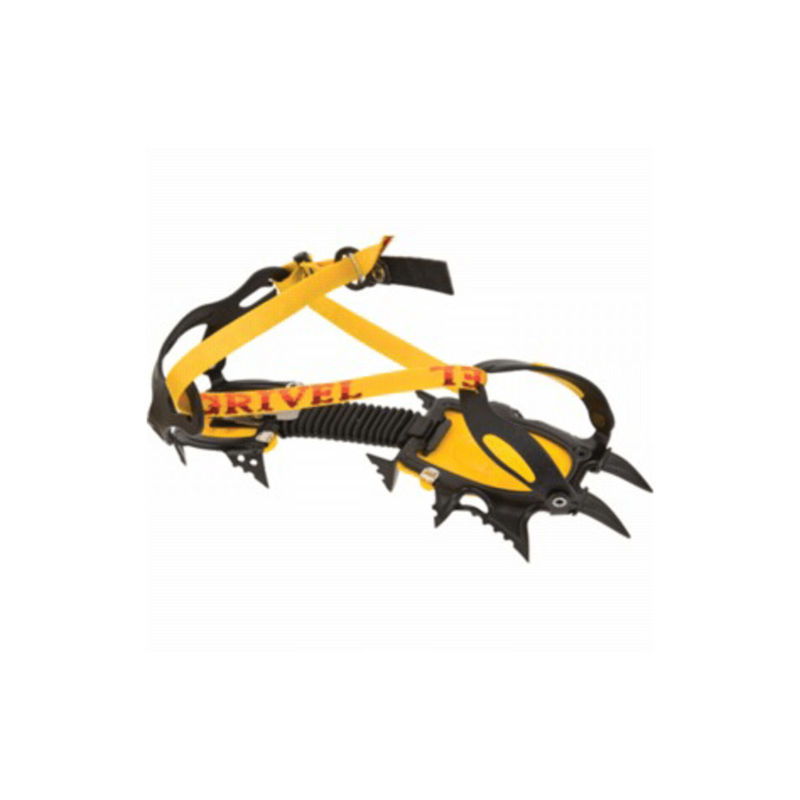 Ice climb more efficiently with Grivel’s all-condition crampons. Starting from the bottom, this pair’s shorter points better adapt to “mixed modern” situations involving ice and rock. In total, they feature 10 points that come in contact with the ice when you walk, and 12 points that pierce into the slope during traverses. Helping you adjust from one terrain to the next are a third pair of points, shorter and spaced wider apart, and two front points with double angulations that deliver a stronger bite.